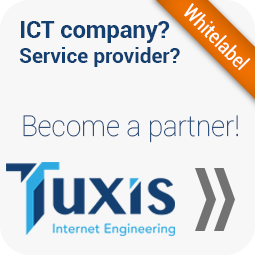 ICT company or ISP? Become a partner! As a partner you don't have to go to the account creation process. You simply add a user in the portal for you or your customers. Normally, each account will be charged for a minimum usage of 500 Gbyte. A reseller has a minimum of 500 Gbyte once. Each extra created account does not have that minimum. Our invoices are reseller friendly. Our invoices will show you the amount of storage per user. If you are an ICT company or service provider, fill out the form below to request more detailed information. There is no need to wait with ordering your daDup account. Should you become a partner, the pricing will be adjusted accordingly.